Is Installation of Heat Pumps Expensive? https://championhvac.ca/wp-content/uploads/2017/03/champ-01.png 0 0 miasoft https://championhvac.ca/wp-content/uploads/2017/03/champ-01.png miasoft2017-05-16 09:32:202017-05-04 09:39:39Is Installation of Heat Pumps Expensive? How Much Can HVAC Repair Cost? 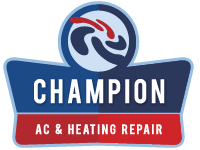 https://championhvac.ca/wp-content/uploads/2017/03/champ-01.png 0 0 miasoft https://championhvac.ca/wp-content/uploads/2017/03/champ-01.png miasoft2017-05-12 09:27:222017-05-04 09:31:23How Much Can HVAC Repair Cost? How To Properly Calculate HVAC Square Footage? https://championhvac.ca/wp-content/uploads/2017/03/champ-01.png 0 0 miasoft https://championhvac.ca/wp-content/uploads/2017/03/champ-01.png miasoft2017-05-04 09:20:162017-05-04 09:20:16How To Properly Calculate HVAC Square Footage?